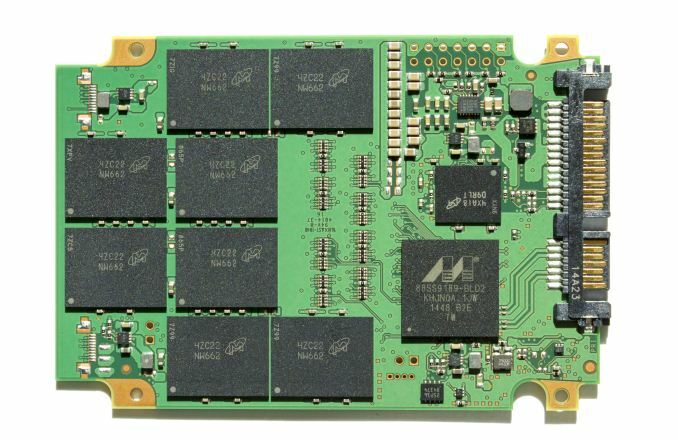 Last year Micron launched M600 SSD for the OEM market, but unlike in the past there was no simultaneous retail product release. We were told that the M600 firmware features would sooner than later find their way into a Crucial branded product, which finally materialized back at CES when Crucial unveiled the MX200. The hardware has remained unchanged from the MX100 as the MX200 sports the same Marvell 88SS9189 controller with Crucial-Micron's custom firmware and Micron's 16nm MLC NAND, but the biggest change compared to the MX100 is the addition of Dynamic Write Acceleration (DWA), which is the company's SLC cache implementation. I covered DWA in detail in our Micron M600 review, so I suggest you give it a read if you are interested in a more thorough explanation, but in short the size of the cache is dynamic and varies depending on the amount of data in the drive. Basically, all empty NAND runs in SLC mode, so the size of the cache shrinks as data is written to the drive. I wasn't very satisfied with DWA in the M600 review because it didn't seem to yield any noticeable performance gains, so I hope the engineers have tweaked the caching algorithms for the MX200. The MX200 is positioned above the BX100 we recently reviewed and liked very much. The CES announcement signaled a change in product strategy because previously Crucial has more or less had just one main product line, but with BX100 and MX200 Crucial is trying to cater a larger segment of the market by offering the BX100 for the mainstream public and the MX200 for the more demanding enthusiast/professional user group. The MX200 is available in a variety of form factors, which includes rarer double-sided M.2 2260 and single-sided M.2 2280 on top of the normal 2.5" and mSATA models. Due to PCB space restrictions in mSATA and M.2 form factors, only the 2.5" lineup carries a 1TB SKU and the mSATA and M.2 models top out at 500GB. The 2.5" SKUs also include an Acronis True Image HD license and 7mm to 9.5mm spacer to ensure laptop compatibility, whereas the mSATA and M.2 retail packages have only mounting screws in addition to the drive itself. All MX200 models are compatible with Crucial's Storage Executive software, which we covered thoroughly in the BX100 review. The MX200 includes a bit more over-provisioning than its predecessor as Crucial has decided to switch from power of two capacities to even tens/hundreds. A part of the over-provisioning is dedicated to Micron's NAND-level parity scheme called RAIN, but the rest is used as additional provisioning to increase stead-state performance as well as overall endurance. Endurance wise the MX200 is one of the top drives on the market. Whether the extra endurance is needed is another question, though, because the 320TB rating in the 1TB model would translate to 175GB of writes per day for five years, which is far more than what most power users write to a drive on a daily basis, let alone a typical client user. 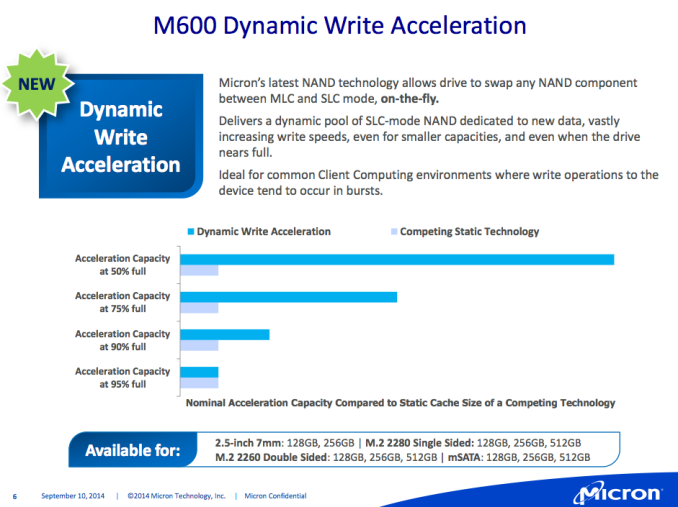 Since Dynamic Write Acceleration is only enabled on the 250GB model (although 500GB mSATA and M.2 models have DWA enabled), the high endurance comes purely from Crucial's longer validation, although obviously Crucial has access to the best NAND dies given that its parent company Micron manufactures the NAND. Oddly enough the warranty is only three years as it would make sense offer longer warranty with such a high endurance rating and nearly all high-end SSDs today offer either five or ten year warranties. Aside from higher endurance and supposedly better performance, the key differentiator to BX100 is the support for hardware-accelerated encryption in the form of TCG Opal 2.0 and IEEE-1667 standards that together enable the use of Microsoft eDrive. Crucial was an early supporter of the standards and first implemented them into the M500 two years ago, so they have now become a part of the common Crucial feature set, although the BX100 dropped the support for higher cost efficiency. 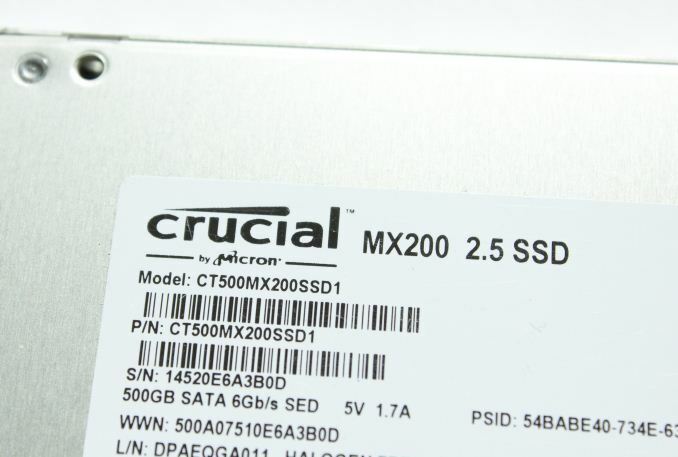 It seems that Crucial has taken a strategy to guide the corporations that require hardware encryption towards the more expensive MX200, which is what many SSD companies have been executing in the form of a separate "business SSD" lineup. In the M600 review, I explained how Crucial's power loss protection in client SSDs is not the same as in enterprise drives, but a backup circuitry that merely protects the existing data from corruption. 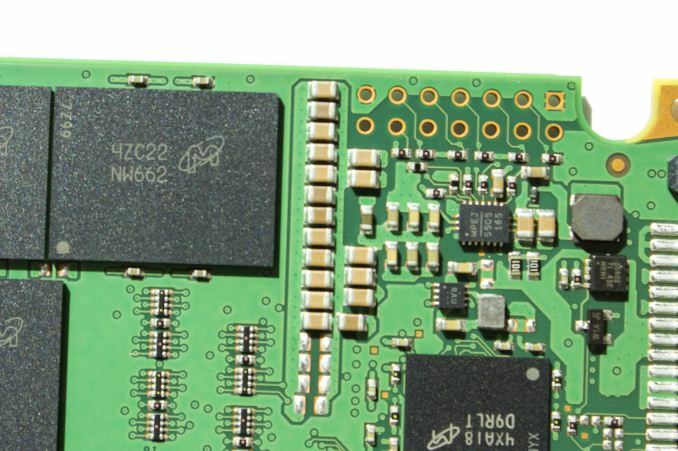 The MX200 brings no changes to that and only offers data-at-rest protection, meaning that the NAND mapping table as well as any in-flight user data are still vulnerable to sudden power losses.